Liverpool have their eyes firmly fixed on the hunt for a first Premier League title, but tonight their attention is steered towards their Champions League endeavours, with Porto the visitors to Anfield for the first leg of the quarter-final. 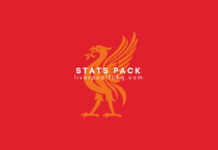 The teams also met in this competition last season, with the Reds cruising past their Portuguese opponents to reach the last eight, although that European adventure took firm precedence over a domestic campaign where fourth place was the height of Liverpool’s ambitions. This time, the picture is very different. 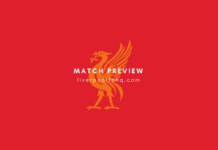 Some have said that Jürgen Klopp’s side might benefit from sidelining their European campaign for a fully focused tilt at ending the interminable wait for a 19th league triumph. Try telling that to the hopeful hordes who will pack out Anfield tonight, though. Winning breeds confidence, and momentum at this stage of the season counts for so much. Our statistical analysis examines both clubs’ current form and European previous. Liverpool have put their late winter slump firmly behind them in the last month, winning five in a row since the Merseyside derby at the beginning of March. That sequence includes a 3-1 victory away to Bayern Munich which put them into the quarter-finals, an impressive win that gave them the confidence to eke out vital Premier League points with late winning goals against Fulham, Tottenham and Southampton in subsequent games. Perversely, the Reds’ last clean sheet came in the goalless draw at Everton five weeks ago; they have conceded in all five of their wins since. Porto’s record is almost identical to Liverpool’s in their last six, except with one fewer goal conceded and two clean sheets. Defeat to Benfica in early March saw them leapfrogged by their title rivals but the extra time victory over Roma in the last 16 of the Champions League set in motion a sequence of four wins from five. Like Liverpool, they also had last weekend’s league fixture played on Friday night, a 2-0 home win over Boavista. The teams first met in European competition in March 2001 in the UEFA Cup quarter-finals. After a goalless first leg at Porto’s old Estadio Das Antas, Liverpool won 2-0 in the return with first-half goals from Danny Murphy and Michael Owen, with the Reds going on to win the competition that year. The sides next faced off in the 2007/08 Champions League group stage. Liverpool’s first visit to the Estádio Dragão ended 1-1, Dirk Kuyt cancelling out an early Porto penalty on a night that saw Jermaine Pennant sent off. Two months later, the Reds ran out 4-1 winners at Anfield, scoring three times in the final 15 minutes to seal victory. They would wait just over 10 years to lock horns again in Europe, clashing in the first knockout round of last season’s Champions League. Porto’s imperious home record was torn to shreds by a rampant Liverpool, whose choice of orange away kit was as unexpected as the 5-0 scoreline that followed. Sadio Mané shone with a hat-trick, while Mohamed Salah and Roberto Firmino also found the net. That 5-0 romp at the Estádio Dragão turned the second leg into a formality. Despite the Reds travelling to Old Trafford four days later, Klopp resisted the temptation to make wholesale changes to his starting line-up. However, he did give rare starts to Joel Matip, Alberto Moreno and Adam Lallana, taking the luxury of benching first-team regulars Salah, Virgil van Dijk and Trent Alexander-Arnold. As Champions League knockout matches go, this was as uneventful as it gets. Mané hitting the post was the closest either team came to scoring, with Dejan Lovren and Danny Ings also having decent chances. At the other end, Loris Karius had only one save to make all night. This was simply an assignment to fulfil for Liverpool, who breezed through to a quarter-final clash against Manchester City. Liverpool have appeared in six previous Champions League quarter-finals, one more than Porto. The Reds have won four of those six ties, whereas Porto have only triumphed once in a quarter-final in this competition. Liverpool reached the last eight in their first appearance in the Champions League in 2002, going out to Bayer Leverkusen despite winning the first leg 1-0 at Anfield. Three years later, the Reds beat Juventus 2-1 at home before a heroic goalless draw in Turin en route to winning the trophy (indeed, they supplanted Porto as winners). From 2007 to 2009, Liverpool were quarter-finalists three times, easing past PSV Eindhoven in ‘07 and shading a classic encounter against Arsenal a year later. However, they bowed out at this stage in 2009, a 1-3 home defeat to Chelsea in the first leg proving costly as the reverse fixture ended 4-4. The Reds had to wait a further nine years to make it this far again, coming up against fellow English opponents for a third consecutive quarter-final. 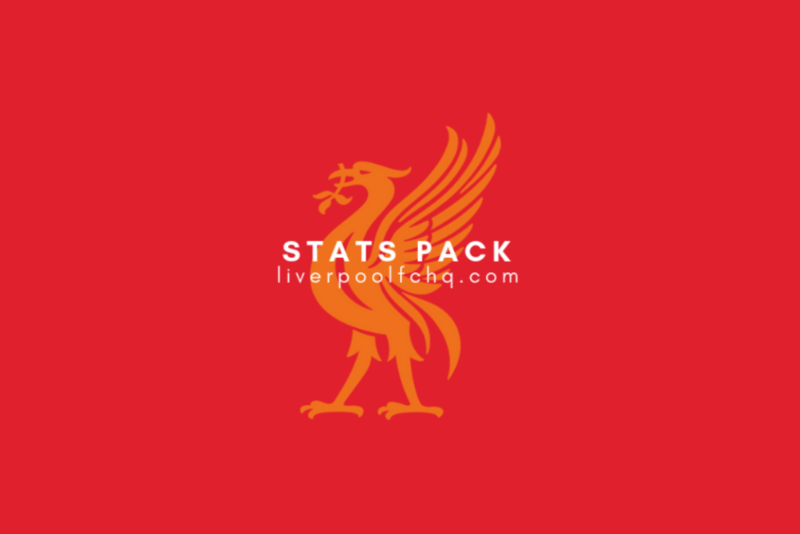 They memorably thrashed Manchester City 3-0 at Anfield with a sumptuous performance and completed the job with a 2-1 win in the reverse fixture a week later. Porto were semi-finalists in 1994 but there were no quarter-finals in the tournament at that time, with only eight teams in the group stage. Their first Champions League quarter-final came three years later when they were trounced 4-0 by Manchester United. Their next appearance in the last eight was in 2000, when they progressed through two group phases before narrowly going down to Bayern Munich. Their only successful quarter-final was in 2004, when they defeated Lyon 4-2 on aggregate en route to winning the trophy under Jose Mourinho a year after lifting the UEFA Cup (Liverpool and Porto won both of UEFA’s flagship competitions between 2001 and 2005). Another five years passed before the Portuguese side made it to the last eight and it took a long-distance screamer from Cristiano Ronaldo to take Manchester United through. Their most recent quarter-final appearance was in 2015, when they won 3-1 at home against Bayern Munich but were thrashed 6-1 in the second leg in Germany. 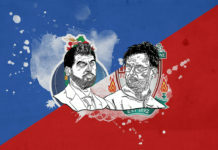 Next articleCan Porto frustrate Liverpool to erase last year’s humiliation? Liverpool FC HQ writer covering Liverpool throughout the 2018/19 season. Published in Irish national newspapers and regular contributor to Liverpool FC HQ. Can Porto frustrate Liverpool to erase last year’s humiliation? Can Nathaniel Clyne Make His Way Back Into The Liverpool Team? Champions vs Challengers: How do Man City and Liverpool compare?